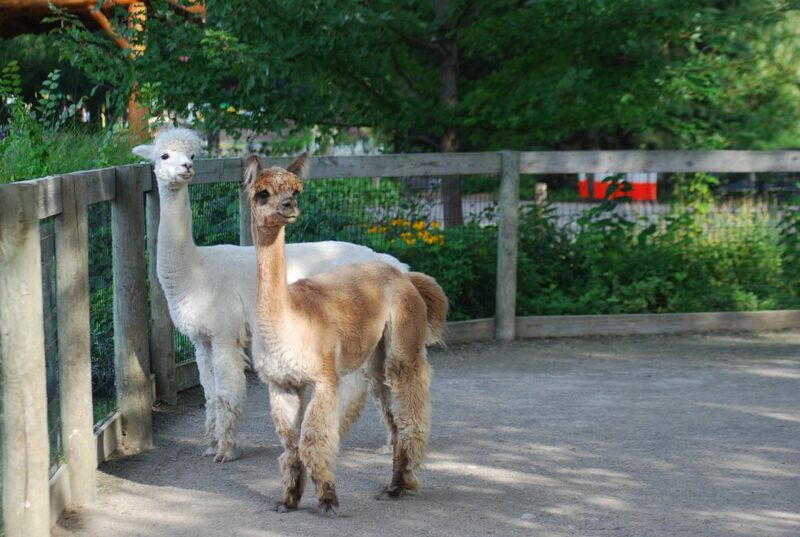 The Zoo is home to two alpaca in the barnyard. Alpaca are actually members of the camel family. Thick wool enables them to survive below-freezing temperatures. Alpacas walk on pads at the end of their toes instead of their hooves, which makes it easier for them to travel over rocky or sandy ground. 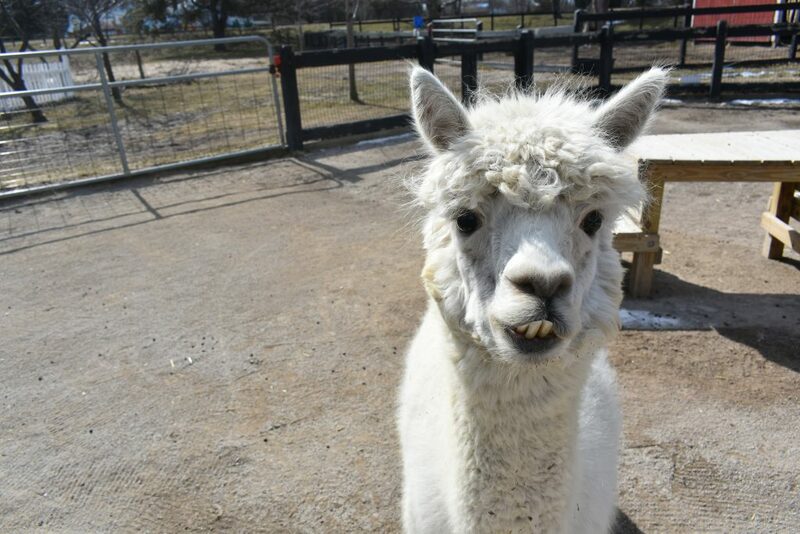 Their mouths have a divided upper lip and continuously growing teeth, allowing the alpaca to graze on tough grasses. Alpacas are ruminants, meaning they re-chew their food after it has passed through some of the three chambers of their stomach before digesting it again. This process allows them to get the maximum nutrients from their food. Alpacas have been domesticated for over 2,000 years. They were first bred by the Incas in about 500 BC and used for their milk, wool, meat and skin. Alpaca wool is still highly prized today. Our alpaca friends can live up to 20 years.